Smoothie Recipes that are Healthy AND Delicious. Discover the Joy of Smoothies. 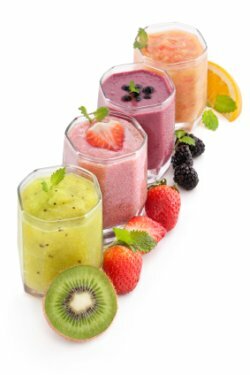 You’ll find smoothie recipes of all kinds here, including fruit smoothie recipes, tropical frozen drinks, green smoothies, superfood shakes and so much more. Are you just getting started making homemade smoothies? Your first step is to check out this free guide on how to make a smoothie. And if you don’t even own a blender yet or are looking to upgrade, our comparison of the best blenders for smoothies should help. Then dive right in, starting with these easy fruit shake recipes and these tropical frozen drinks. These simple yet healthy recipes are perfect for beginners, and a fun way to incorporate more fresh fruits into your healthy diet. You’ll soon find that smoothies are about so much more than just fun, tasty frozen beverages. These smoothie recipes can soon lead to an entire lifestyle shift, helping you move towards a healthier, more plant-based liquid diet, and away from the greasy, cooked fatty foods so common in our standard diets. Maybe you’re a vegetarian or vegan looking for a fast and easy way to get all the nutrients you need…or you want to experiment with making that shift, one meal at a time. Homemade meal replacement smoothies are an incredibly useful tool in any vegetarian or vegan diet. Or you’re just looking to eat healthier in general and lose weight naturally, and you know you should be eating more fresh fruits and vegetables, especially leafy greens like spinach…but you can’t stand eating salads. 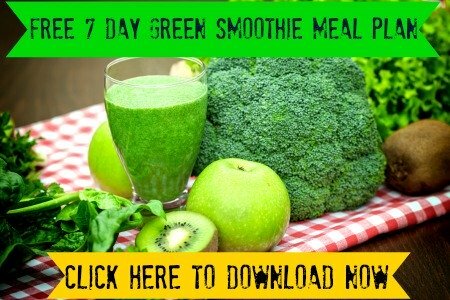 These green drinks will help you get all those greens you need, whether you just want to eat delicious salads in disguise or you want to try some form of a raw foods diet. Are you a runner or endurance athlete, looking to boost your performance? These superfood smoothies may just be that missing piece you need to improve your training and help you win that next race. For the rest of us…forget about winning races, maybe you just want to make it through that next 9 to 5 day in the office, and you’re struggling with low energy and sluggishness. What you need is a healthy breakfast shake to provide you with the energy and mental clarity you need to do your best work, without having to rely on coffee or unnatural energy drinks. It doesn't matter if you’re just getting started making homemade smoothies, or you're a seasoned smoothie maker ready to take your smoothies (and your health) to the next level. For anyone looking to transform your lifestyle through healthy eating and nutrition, these healthy recipes will help get you there. Get ready to discover the Joy of Smoothies. It’s about so much more than just simply smoothie recipes. No matter what step you’re at in your journey of healthy eating, the good news is there are positive changes to be made all around. And the best part? It’s actually fun, and it tastes good too. P.S. If you like what you see so far, please "Like" us on Facebook!